This post is written in reference to the article: “How to grow brands by targeting the masses”, Gordon Euchler, Admap, June 2017. Smart Data, Machine Learning and other avant-garde jargons make us feel like we are entering a new age of Marketing & Branding, where these new technology solves the old adage: “Half the money I spend on advertising is wasted; the trouble is, I don’t know which half.” Yes, advertising has always paid to target those it shouldn’t: a wedding ring ads will be seen by already-wed couples, a milk powder ads will be seen by singles, and a car ads will be seen by university students- who are way beyond the brand’s target audience. Mirco-targeting enables us to advertise only to those who will buy. 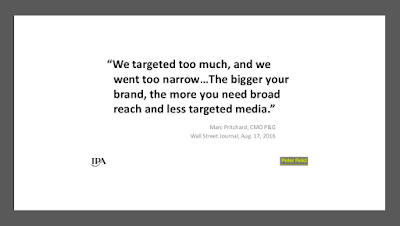 However, Marc Pritchard, P&G’s chief marketing officer, announced in The Wall Street Journal: “We targeted too much, and we went too narrow.” Two years ago, P&G focused their Facebook targeting ads for Febreeze air freshner at pet owners and households with large families. The brand found that sales stagnated during the effort, but they rose when the targeting criteria was expanded to include anyone over 18. 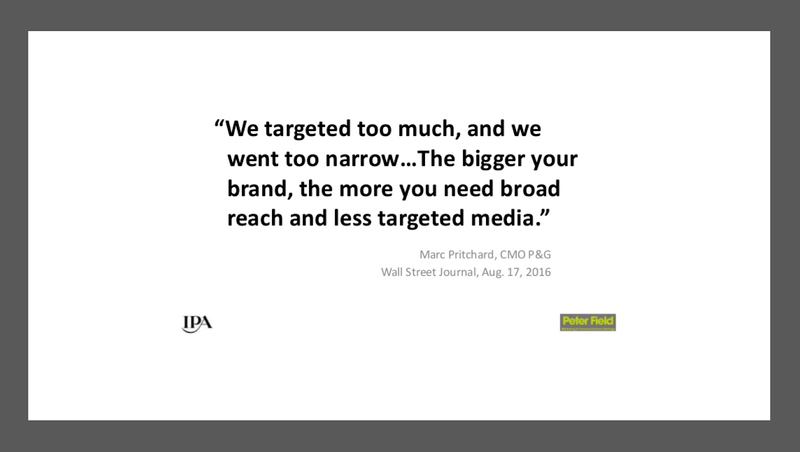 So how Micro-targeting does NOT grow brand? 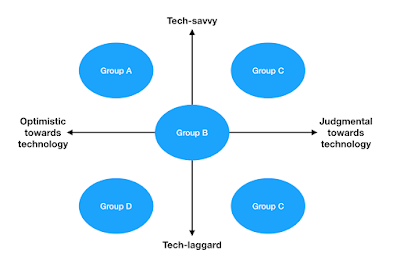 Firstly, in a whole customer journey, Micro-targeting focuses on the later stages of the journey: the people with the highest buying propensity. However, Byron Sharp stated in “How Brand grows”: the biggest driver of growth was located earlier in the journey – penetration or bringing new people into the market. Those campaigns "were twice as likely to report very large improvements in all hard measures of effectiveness including sales and profits". According to a research by Anderl et al.’s (2016) analyzing more than 3 million customers journeys in 3 different industries, the influence of the last stages of customer journey leading towards sales is overestimated by up to 80% points and the role of mass marketing in the beginning stage is consistently underestimated. Focusing too much on the later stage of consumers journey has a tendency of “emptying the pool of people in the market without refilling it” (Euchler 2017). Secondly, micro-targeting sees consumers as specific individuals, instead of a social human being. According to a McKinsey study, Word of Mouth is “the primary factor behind 20% to 50% of all purchasing decisions” depending on the product category; 26% of all purchase decisions come from social recommendations. When purchasing a product, we also take into account the social factor. For many times, a brand we purchase must also be known and approved by people around us. The Milk Powder that a mother buys for her kids must also be known and seen as having quality by her husband, her parents & parents-in-law and acquaintances. Thank you for referencing our work.